Most families in Italy begin celebrating il Natale on the evening of December 24 (la vigilia di Natale) with a big dinner. Because Christmas Eve is a vigilia di magro (a day of abstinence on which the Catholic Church prohibits the consumption of meat), the centerpiece of the meal is fish. The traditional choice is eel, a favorite of the ancient Romans that appears in the earliest known cookbook, written by a gourmand known as Apicius. This symbol of life and immortality was sold alive and wiggling, then beheaded, chopped and dropped into boiling water, spit-roasted, grilled, stewed with white wine and peas or pickled in vinegar, oil, bay leaves, rosemary and cloves. In some regions the Christmas Eve feast has seven courses (for the seven sacraments); others serve nine (the trinity times three) or thirteen (for Jesus and his twelve disciples). Some of the fish dishes include fritto misto with lemon (mixed fried fish), calamari or pasta with anchovies. Il pranzo di Natale (the Christmas day meal) usually starts with a rich pasta, such as cappelletti in brodo, little hats stuffed with chopped meats, cheese, eggs or pumpkin. By tradition everyone is supposed to eat at least a dozen. Depending on the region of Italy, the main course may be capon, pork or turkey. *calzone di San Leonardo -- trousers of St. Leonard, which represent the cradle. Among the various types of holiday bread (pane) are pangiallo (a round bread crammed with fruits and nuts--an ancient symbol of fertility), panforte (a fruitcake-like specialty of Siena) and panpepato (peppery and dark, somewhat like gingerbread). The most famous is the tall cupola-shaped panettone, with origins that date back to ancient Rome. The term derives from panetto (loaf of bread) combined with “one” (a suffix meaning large and pronounced “oh-nay”), although some claim its name comes from the Milanese expression “pan di ton” (luxury bread). After the meal, families play a game called tombola, similar to bingo, with dried beans as markers. Players win coins or small prizes for covering two numbers (ambo), three (terno), five (cinquina) or the entire card (tombola). In towns and cities many Italians have started a new Christmas day tradition: going to the movies. December 26 brings Prima Festa (first feast) and another big family meal to honor Santo Stefano (St. Stephen), the first Christian martyr, who was stoned to death for his beliefs. This day gave rise to an idiomatic expression -- da Natale a Santo Stefano (from Christmas to St. Stephen’s Day) — to describe a very brief period of time. Once again the Olympics are underway, reminding us of their power to bring people together and create ties among them (il potere di riunire le persone e creare legami tra loro). The Winter Olympics (Olimpiadi invernali) in the host city (città ospitante) of PyeongChang in South Korea (Corea del Sud) began with an impressive opening ceremony (la ceremonia di apertura) that featured the parade of nations (la parata della nazioni), the singing of the Olympic hymn (l'inno olimpico), the arrival of the torchbearer (il tedoforo) and the lighting of the Olympic flame (la fiamma olimpica). The Games have brought together athletes (atlete) from around the world, with 92 countries and 2,920 athletes participating in 102 events in 15 sports. La squadra italiana (the Italian team) consists of 120 members. The oldest (il più anziano) is a 37-year-old snowboarder (snowboardista) while the youngest (la più giovane) is a 17-year-old jumper (saltatrice), the first "millennial" to represent Italy in the Olympics. Athletes may strive to break a personal record (il record personale) or an Olympic record (il record olympico). Some may set a new world record (un nuovo record del mondo). At every awards ceremony the winners (i vincitori) mount the podium (salgono sul podio) and receive three medals: bronze (il bronzo), silver (l'argento) and gold (l'oro) as the national anthem (inno nazionale) of the gold medal winner plays. The Olympics have the power to bring people together and create ties among them (il potere di riunire le persone e creare legami tra loro). To encourage communication among people of different countries and languages, the team at MosaLingua, an application for learning languages quickly with interactive activities, has created an electronic Survival Conversation Phrasebook to Rio 2016 that provides “all you need to know to talk about the Summer Olympic Games” (tutto quel che devi sapere per parlare delle Olympiadi) in six languages, including Italian. Learning a little of the jargon of sports (un po' di gergo dello sport) in another language, its authors note, can add another dimension to your enjoyment of the Games. Everyone talks about the highlights of the opening ceremony (la ceremonia di apertura) -- the parade of nations (la parata della nazioni), the singing of the Olympic hymn (l'inno olimpico) and the lighting of the Olympic flame (la fiamma olimpica). Excitement builds as athletes compete to fulfill the Olympic motto: “Più veloce, più in alto, più forte” (faster, higher, stronger). Races typically begin with a call of “Pronti, partenza, via!” (On your mark, get ready, go!). Athletes strive to break a personal record (il record personale) or an Olympic record (il record olympico). Some may set a new world record (un nuovo record del mondo). 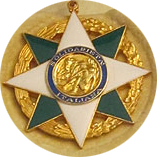 At every awards ceremony the winners (i vincitori) mount the podium (il podio) and receive three medals: bronze (il bronzo), silver (l’argento) and gold (l’oro). The most dramatic is the competition to become l’uomo più veloce del mondo (the fastest man in the world) in the corsa dei 100 metri (100 meter race). To all the competitors, in bocca al lupo (good luck)! Click here to read Mosalingua’s blog on the new guide and here for the Olympic phrasebook. 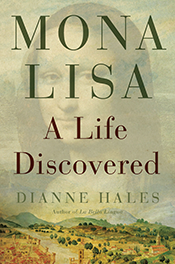 Dianne Hales is the author of the New York Times best-selling LA BELLA LINGUA: My Love Affair with Italian, the World's Most Enchanting Language and MONA LISA: A Life Discovered. According to legend, a raven on Noah’s ark set off on April 1 to search for a sign that the flood waters had receded, but it never returned. Others trace the madcap holiday back to the year 1564, when Pope Gregory introduced a new calendar that changed the beginning of the new year from April 1 to January 1. Some people who didn’t believe or wouldn’t accept the change kept celebrating New Year’s Day on the first of April. Others tried to show how silly these original April fools were by sending them on pointless errands or tricking them into thinking something false was true. “VERGOGNA!” the headlines in the Italian papers screamed as the Azzurri (The Blues), defending champions, exited the 2010 World Cup in the first round. Everyone—including the players themselves—seemed to agree that they had brought vergogna (shame) to Italy, a grave offense in a country that prizes “bella figura” and considers calcio (soccer) a national religion. Vergogna (which contains the wonderfully Italian “gn” sound, as in gnocchi) carries the weight of centuries of meaning. Some seven hundred years ago Dante, father of the language, used it for “onta, disdoro, disonore” (shame, disgrace, dishonor). The medieval poet had very clear ideas of the consequences it deserved. In his epic Divine Comedy, those who acted vergognosamente (disgracefuly) on earth spent eternity being whipped, bitten, crucified, burned, butchered, transformed into snakes and shrubs, buried alive in flaming graves, skewered into rocky ground, frozen in ice and immersed in pitch, mud, excrement or boiling blood. Italians who brought vergogna to the people have also faced punishment at the hands of their countrymen. In the 15th century Florentines turned on Savonarola, the charismatic monk who destroyed books, jewelry, furniture and masterpieces of art in his infamous “bonfire of the vanities.” First they tortured him on the rack for three days (breaking every bone in his body except for those in the hand he needed to sign a confession of heresy), hanged him and then cremated his body in a giant blaze that burned for hours. A single death also wasn’t enough for reviled dictator Benito Mussolini. After the fall of the fascist regime, Italian partisans caught and executed Il Duce along with his mistress near Lake Como. Their bodies, taken to Milan, were kicked, spat upon and hung upside down on meathooks from the roof of a gas station. A crowd threw stones and shouted insults. As human beings shamed to their very souls, they have my sympathy. Yes, the Azzurri lost a world championship and injured national pride. But more deserving of shouts of “Vergogna!” are those responsible for far graver consequences. My list would include the folks in charge at BP, Bernie Madoff and Wall Street wheeler-dealers, who all have so often seemed senza vergogna (shameless). vergognoso -- has two different meanings: shy, bashful, timid or shameful, disgraceful, outrageous. Grazie to Bob Sanfilippo for suggesting this topic! Click below to see a happier moment: the Azzurri singing Italy's national anthem before their first match at the 2010 World Cup in South Africa. 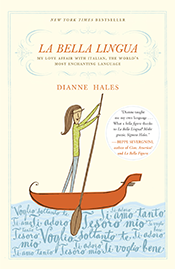 Dianne Hales is author of La Bella Lingua: My Love Affair with Italian, the World's Most Enchanting Language. A face is a face in English. You wash it in the morning, put a smile on it throughout the day, and display it along with your friends’ on Facebook. In Italian a face can be una faccia, un viso, or un volto. It’s taken me years to realize they are not interchangeable. La faccia, with its eyes (gli occhi), nose (il naso), and mouth (la bocca), is what you see in the mirror. In a country that prizes la bella figura above all, salvare la faccia (saving face) is always important. Italians appreciate un bel faccione, a jolly good-humored face, and say “Viva la faccia!” (long live the face) to wish someone well or take hats off to him. But faccia can also imply impudence. Someone with una faccia di bronzo is brazen; una faccia tosta is cheeky. A person who non guarda in faccia nessuno (doesn’t look anyone in the face) shows disrespect to all and might even dare to ridere in faccia tua (laugh in your face). Viso refers to a more public face. When you have a one-on-one conversation, you speak faccia a faccia (face to face) but you may or may not talk a viso aperto (frankly or with an open face). If you welcome an idea or proposition, you could far buon viso (give a good face). If not ,you might at least try to fare buon viso a cattiva sorte (put a good face on bad things or make the best of a situation). If you just have to grin and bear it, you would far buon viso a cattivo gioco (put a good face on a bad game). While everyone has a faccia and viso, I’m not so sure we’re all worthy of un volto, a word that implies a spiritual, mystical, even mysterious appearance. I didn’t fully grasp this distinction until I saw my friend Ludovica Sebregondi’s elegant art book, Volti di Cristo (Faces of Christ), a limited-edition, 5,000-euro, oversized volume with artistic reproductions so precious that readers are advised to wear gloves when turning the pages. No wonder Italians chuckled when I asked if I had a sbaffo sul mio volto (smudge on my countenance), a notion so preposterous that it merits yet another word for face in Italian: faccina, the perky and ubiquitous ☺. faccia di tolla - someone that disregards everyone and everything.